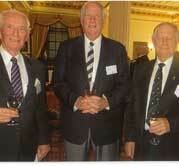 In the year when Newington is celebrating its Sesquicentenary, old boys from the Leaving Certificate year of 1953 (as it was known before the advent of the HSC) celebrated 60 years since leaving the College with a lunch at Sydney’s Royal Automobile Club on 9 August, 2013. Twenty nine old boys attended the lunch, including the Chairman of Newington College Council, Hon RN (Angus) Talbot who acted as MC. Apologies received from those unable to attend were acknowledged, as were the 25 classmates who had sadly passed away. A highlight of the 1953 year was the GPS Rugby Premiership won by our First XV. Three members of the winning team, Barry Clinton, David Lo & Neil McCamley were at the lunch, David & Neil travelling respectively from Darwin & Port Macquarie to attend. As would be expected, there were many reminiscences between old classmates, some who had not seen each other since leaving school. Visit the Newington Old Boys Directory Photo Board to view photos. The fifty year reunion for the Class of 1963 (including the Classes of 1962 and 1964) was held on Saturday, 12 October 2013. Attended by 82 Old Boys, some partners and past staff including Mr Phil Davis, Mr Alex Healey, Mr Barry Laidlaw, Mr Ian McLean and Mr Eric Stockdale, reunion guests enjoyed morning tea in the Archives followed by a tour of the new AJ Rae Centre and LRD Pyke Centre and lunch in Prescott Hall. Visit the Newington Old Boys Directory Photo Board to view photos taken on the day as well as Newington photos from the 1960s, many from personal collections provided specially for the slide show during the lunch. 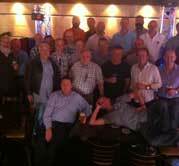 On Saturday 19 October, 2013 around 40 Old Boys from the Class of 1978 held a 35 year reunion at the Civic Hotel in Sydney. Visit the Newington Old Boys Directory Photo Board to view photos. 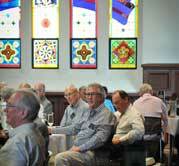 For a full list of the 2014 Reunion dates and online booking and payments for reunions visit the Newington College – Alumni – Reunions website. 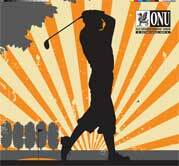 The ONU invites you to enjoy a superb day of golfing at the Newington Golf Day to be held again at the prestigious The Lakes Golf Club. The day includes golf clinics, light lunch, refreshments, buffet dinner, prizes and the awards presentation of the Alumni year trophy and the Arthur H.S. Rofe Trophy. All funds raised through the auction during the dinner will go to the ONU Depression fund – set up to provide financial support for the treatment of depression for members of the Newington community. 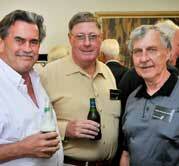 Click here for Golf Day invitation and click here to download a registration form. For queries contact alumni@newington.nsw.edu.au or call (02) 9568 9544.